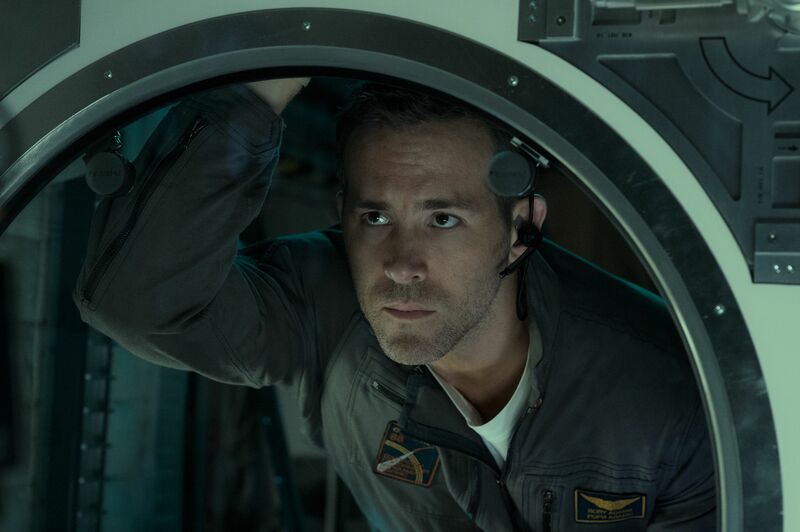 Who could have predicted Ryan Reynolds and Jake Gyllenhaal in space would go over so well? The latest killer-alien-interacts-with-hapless-humanity sci-fi horror movie, Daniel Espinosa’s Life, is getting some pleasantly surprising reviews from critics. Life, which premieres on March 24, follows the story of a multi-national group of scientists and researchers aboard the International Space Station as they receive a sample from Mars that proves the existence of, well, life on the red planet. Turns out, the single-celled organism named Calvin is actually the remains of a terrifying alien bent on destruction. Despite the (literal) Alien-esque trope, or perhaps, because of it, Life is racking up some good reviews. This post may contain spoilers for Life. Life gained a lot of popularity online even before the reviews started rolling in when one Reddit user pointed out a reused shot from Spider-Man 3 in one of the Life trailers and posed that maybe (just maybe) Life was going to be a Venom prequel. After all, Sony is actually making a Venom movie, and a sneak-attack starring Ryan Reynolds of Deadpool fame was just too good an opportunity for the internet not to speculate over. But since Life very clearly is not a Venom prequel, the mostly positive reviews focus more on the film’s dedication to its genre, among other things. The Playlist gave the film a solid B, commending it for sticking to a classic sci-fi trope so closely while still racking up “technical accomplishments” on a lower budget than, say, 2013’s Gravity. What makes “Life” genuinely shocking is that it adheres so closely to the formula without deviation, reinvention, or reflection. It’s simply a murderous-alien-on-a-spaceship movie. That’s it. And, it turns out, that’s okay. The core question that audiences tend to have when engaging with first-encounter science-fiction is generally, “Why are these ultra-smart/tough/competent people making stupid decisions?” The characters in Life never feel like they’re being dunderheads, though, because their situational and psychological motivations are sketched out so well that the actions feel very believable… When it comes to the science on display and the conceptualization of the characters, Life feels refreshingly grounded… We might be our own worst enemies right now but Life reminds us that there’s probably something even worse out amongst the stars if that ever stops being the case. This is an obvious homage, but it’s a good one. It felt purposely claustrophobic and it was scary and it has a nifty sort of twist at the end that was genuinely disturbing… No one will do the “alien kills people on a spaceship” genre better than Ridley Scott did in Alien. Most sensible people will agree on this. But that doesn’t stop Life from being a pretty good, and scary, reimagining of this scenario. But “Life” isn’t an especially philosophical movie, and it’s weakest when the screenplay pretends to be making protocol-questioning decisions in the heat of the moment… “Life’s” a thrill when it’s smart, but it’s even more exciting when the characters are dumb — which is ultimately a paradox the film wears proudly, to the possible extinction of the human race. The picture struggles to find a satisfying rhythm as the members of this multinational, co-ed team get slooshed up by Calvin or suffer related lethal mishaps. Each dies valiantly; few enjoy a moment of glory. And then there were two — heroes whose names won’t be revealed here, who face that familiar challenge: Destroy this vessel before its extraterrestrial inhabitant can make its way to the blue planet below. Genre fans won’t be too shocked by the way that plays out. But most would be quite surprised if Life’s hints at a sequel lead to even a single spinoff, much less the decades-long afterlife enjoyed by Ridley Scott and Dan O’Bannon’s versatile face-hugger. Life premieres in theaters on March 24.